More than one million people have made an account to play Rift, the promising new MMO kid on the block. This doesn't necessarily mean one million copies have been sold - only that one million accounts have been made. It also doesn't mean one million people are paying £8.99 a month to play - that doesn't start until the 30-day free period ends. Head start access to Rift begins today, with the servers opening for everyone on 1st March in the US and 4th March in Europe. And don't worry about the Americans getting in before you - the US and Europe will have their own set of servers. They have been named and numbered (below). There are no Spanish servers; the European languages supported are English, German and French. Subscription to Rift costs you £8.99/€12.99/$14.99 a month, or £5.99/€9.99/$9.99 if you commit to six months. Launching alongside patch 2.3 in June. Follows End of Nations restructuring last week. 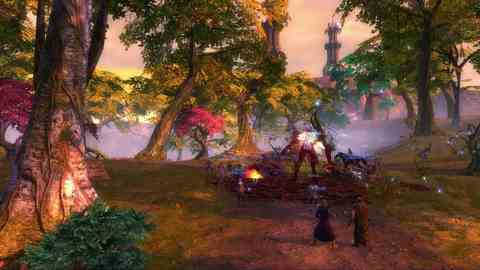 Can it put the fantasy MMO back on the map?